Ketchikan, Alaska - Let There Be Light! Ketchikan, Alaska - At the Incorporation of the City of Ketchikan back in the summer of 1900, the little town on Tongass Narrows was powered largely by optimism and resolve. The Alaska Gold Rush of '98 had focused the eyes of the world on the nation's Last Frontier. The courageous and confident were among those who "rushed" north to participate not just in the search for gold but in the founding of a great new American territory. Ketchikan's pioneer founders moved quickly to develop such modern amenities as electric lights and indoor plumbing. In the meantime, kerosene lanterns, either carried or hung on nails outside Ketchikan's rows of side-by-side businesses, shed a shiny orange glow on docks or on the narrow and slippery Front Street boardwalks after dark. Wood and/or coal was used for cooking and heating for stoves in businesses, cabins and even in tents! Alcohol and camaraderie helped to warm the rows of waterfront saloons. Privies over tidewater and primitive honey buckets sufficed for sanitation. With reeking stables for dray horses and waterfront fish offal at low tides, brand new Ketchikan was grateful for windy weather to blow the stench away. Fresh water was in Ketchikan Creek or "where you found it" in 1900. In a bow to cleanliness, a hand-laundry business for the more fastidious was perched by a creek coursing down the steep hillside above where today's Red Men hall is located on Main Street. Famous pioneer photographer Harriet Hunt had to carry buckets of water from a creek to her second-story Front Street home in order to develop her photographs. Volunteer firemen, without pump or equipment, could at first only form a bucket brigade. The 1900 Incorporation of the city was to gain the power to tax and thereby raise funds to solve some of these basic problems and to provide civilized necessities so that a remote frontier town could grow into a city. A few of the new town's small businesses had small generators and shared a kilowatt or two. 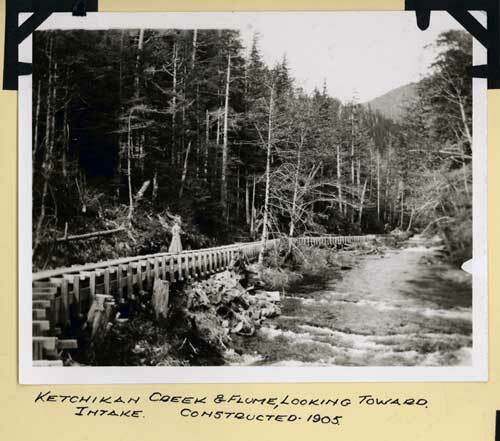 But, looking to the future, Ketchikan's site had been chosen by its founders to take advantage of Ketchikan Creek's falls for potential power generation. All that was needed in those first years was investors - and funds. In 1901 a man named Watson J. Hill of Juneau approached Ketchikan's common council and was granted a franchise for a Ketchikan Light & Power Company. The gentleman sailed back to Juneau but any progress was stalled when he failed to return. So on April 20, 1903, the city council gave the franchise to the mostly local Citizens Light, Power and Water Co., the charter to run for fifteen years. It was then that the city's utility progress began in earnest! John Lhote and Nels Pierson negotiated with Citizens Light & Power to build a dam on the creek 5,200 feet from tidewater. They got to work immediately and built a 15-foot-high log-cribbed dam and a wooden flume to carry water to a new powerhouse, which was to be built on the bank of the creek. 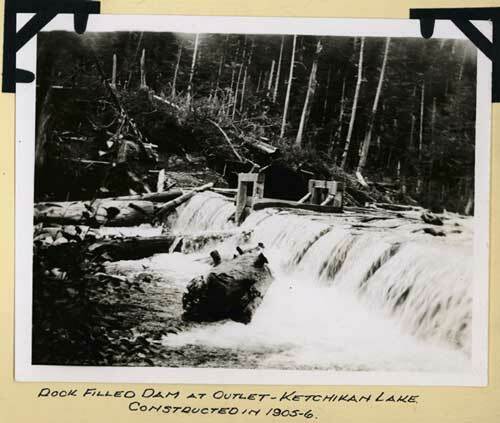 The cost of dam and flume construction was $450 - which would be about $9,250 in today's dollars. Construction was begun on the powerhouse, and pipes for hydrants and domestic water were being installed when original franchisee Watson J. Hill again arrived from Juneau - this time with an injunction. Work on the creek was halted until December 1903 when Mr. Hill agreed to sell out his interest to Citizens Light & Power. He left town immediately after. And it was also in 1903 that H.Z. Burkhart, who had operated a sawmill at a mining operation at Dolomi on Prince of Wales, brought his equipment to Ketchikan and with J.J. Daly and C.M. 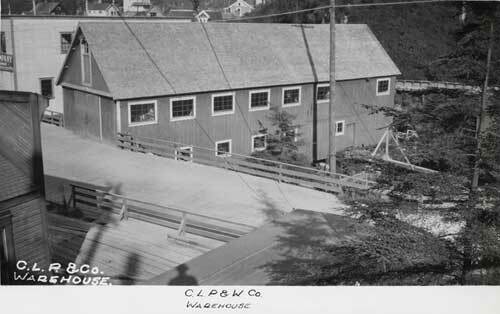 Summers formed the Ketchikan Power Co. to operate a sawmill. (He also built the turreted Queen Anne home at the top of Main Street in 1906, the city's last remaining "castle" from its past.) His mill, later called simply "the spruce mill," was located right on the downtown waterfront. The progressive little town of Ketchikan now had not only a good-sized sawmill but a source of shared power that would be put to good use in power-short years to come. In addition, the new mill set to work providing steam heat to downtown buildings! In those same earliest years, a 45-year-old loner named Frank Silvis was exploring the shorelines of George Inlet, looking for business opportunities. At Beaver Falls, he recognized the power potential of the water rushing into the inlet from the backdrop-mountain lakes. It was in 1905 he obtained his mill site and water rights to operate a shingle mill at the falls. He operated the mill, selling the shingles regionally, from 1906 until at least 1919 and possibly until his death in 1931 - when he died from a fall on a cliff near the two mountain lakes that bear his name today. The Upper and Lower Silvis Lakes would figure prominently in Ketchikan's power history some forty-plus years later. 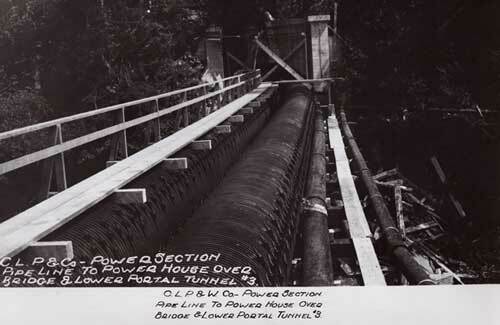 In 1906 a four-foot-high dam 110 feet long was built at the outlet of Ketchikan Lakes and a 400-foot-long penstock (a 28-inch barrel-stave 'waterpipe') was installed. Then came a 240 hp water turbine and 120 KW generator. Things were moving fast. 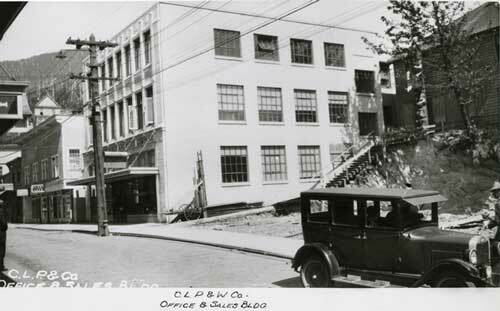 Citizens Light & Power in the same year built an office building, which oldtimers recalled was on Mission Street between Front and Main. In fledgling Ketchikan in 1909 a telephone franchise was granted and became part of Citizens Light & Power and became the company's new utility. By that time Ketchikan was growing steadily. In just ten years, the 1900 population numbers had grown from 459 to 1,500. Ketchikan was indeed a city. As hard as it may be to believe today, Ketchikan in 1910 was completely electrified and boasted available telephone service when much larger cities down south in "the States" were still lighted by gaslight and only anticipated telephone service! 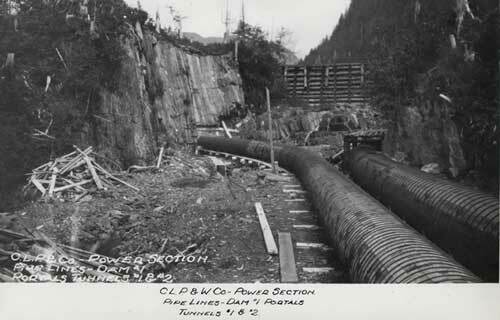 Work continued on expansion of the Ketchikan Lakes capabilities, with a dam between the two lakes built in 1910. Larger and more equipment was installed to keep up with demand. It was essential! In was in 1910 or 1911 that J.R. Heckman, longtime cannery superintendent at Loring and involved Ketchikan businessman and banker, invented the floating fish trap. It was a contraption loved by owner cannery companies, hated by independent fishermen, and the greatest stimulus in Ketchikan's commercial history! Stationary fish traps had been used more or less effectively around the world for centuries. But a floating trap, seasonally stationed with anchors at prime locations on salmon migration routes, could harvest many, many times the volume of fish formerly caught by fishing boats! The huge log-and-wire traps spurred the local sawmill and wireworks industries and goosed the canneries and cold storages to unprecedented activity. All that industry required vastly increased amounts of power! So Citizens Light & Power installed new and more powerful turbines and generators in their facilities. 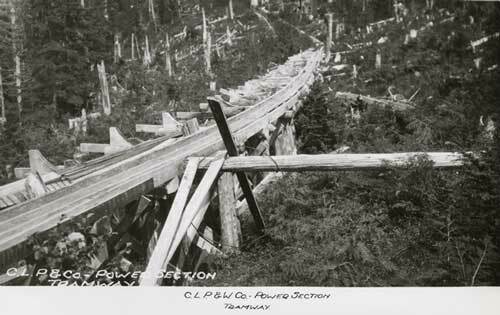 By 1913 the power company realized the small downstream powerhouse on Ketchikan Creek was no longer adequate for the load, and a new and larger capacity powerhouse was built on the upper creek. 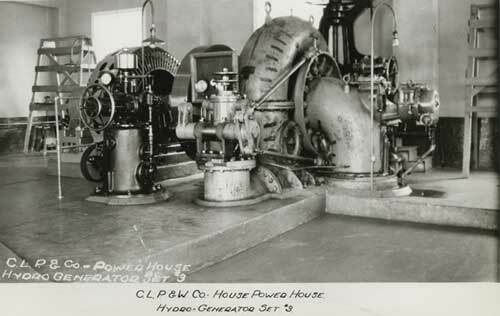 Over the next several years more and even larger equipment was installed to try to keep up with the power demand. By 1920, just two decades after Incorporation of the hamlet of 400 souls, Ketchikan was suddenly Alaska's industrial and commercial leader, headquarters for the area's mosquito fleet of trollers as well as new home to the North Pacific halibut fleet and in addition could boast canneries, logging, bustling sawmills and producing regional mines. It was now the home of 2,500 people, living in what the Pathfinder magazine issue of August 1920, said was a city that "has steadily come to the front until today, without semblance of a boom has grown into an important place in the commercial world, and is recognized as the most thriving city in Alaska." City Council granted Citizens Light & Power a new franchise in 1920 and already demand was exceeding capacity. 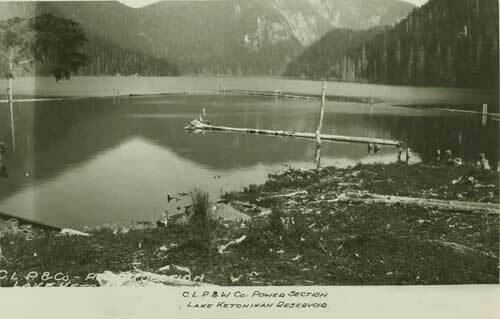 Construction increased the capacity of Ketchikan Lakes and was doubled in 1923 with even larger generators and turbines. Through the 1920s tunnels were being drilled and attached to penstocks to increase water capacity. It was boom time! In 1925 the power company built a three-story concrete, privately owned Citizens Light & Power building at 334 Front Street, today's City Hall. The architectural style is called "Chicago Commercial." The ground floor had sales rooms for electrical appliances and general offices; the second floor contained a machine shop and smaller generating equipment. The third floor housed warehouse space, drafting rooms and the telephone exchange. Today's fourth floor was a later addition (1952). And then, two years after the shock of Black Friday's 1929 stock market crash, the Great Depression reached Ketchikan. Citizens Light & Power faced hard times with every other business in the nation. For several years the utility company struggled, finally selling to a national interest but soon finding itself back in charge again. Then, in 1935, against the wishes of a segment of the city's population, the City bought Citizens Light & Power, a decision that still angers some oldtimers. Citizens Light, Power and Water had become Ketchikan Public Utilities ­ our own KPU. The first few years of city ownership didn't go so well. Electrical rates went up even though financially stressed customers sometimes sat in the dark to save money and had thrown away electric heaters. The outbreak of World War II in 1941, however, took minds off the power problem. At the end of the war, a new, modern era was coming and more population growth with it. In 1947 Ketchikan recognized the power potential of Beaver Falls south of town. A log dam at the lakes and a power plant at Beaver Falls added to KPU's power capacity. 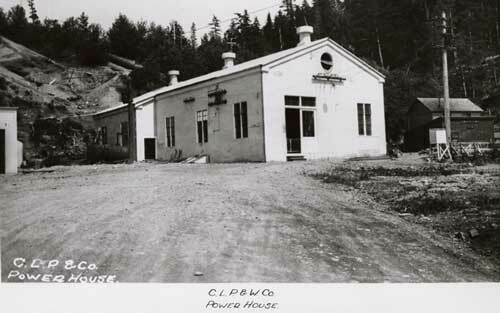 In 1968 KPU built a powerhouse between the upper and lower Silvis lakes but, unfortunately, the facility slid down the slope into the lower lake after a heavy storm just a year later. Arguing about who was responsible for the catastrophe went on for a year while a new facility was built, this one successful. But even with increased power capacity, even more was needed to keep up with the city's needs. And so KPU's big, magnificent Swan Lake dam went on line in 1983. Today's future power picture is positive, with work underway for a Swan Lake-Lake Tyee (Wrangell) intertie that will eventually tie in with other Southeastern communities in a big loop that will support each of the towns in an interdependent circle. Each town no doubt has tales of its own pioneers, its own successes and failures. This story sheds light on part of Ketchikan's power past. Postscript: Frank Silvis saw the potential of the region's power picture and used it for his benefit. His contemporary neighbor, pioneer Joe Mahoney - did they ever meet? - found his own pair of now-named Mahoney Lakes up George Inlet. He used the power for his zinc/lead mine, which unhappily proved unprofitable, and failed. Mahoney, however, is well remembered by baseball fans for his many successes as one of the star players on Ketchikan's earliest ball teams.